The School of Sign Language offer Deaf Awareness and British Sign Language Training for organisations, such as schools, public sector, businesses and community groups. 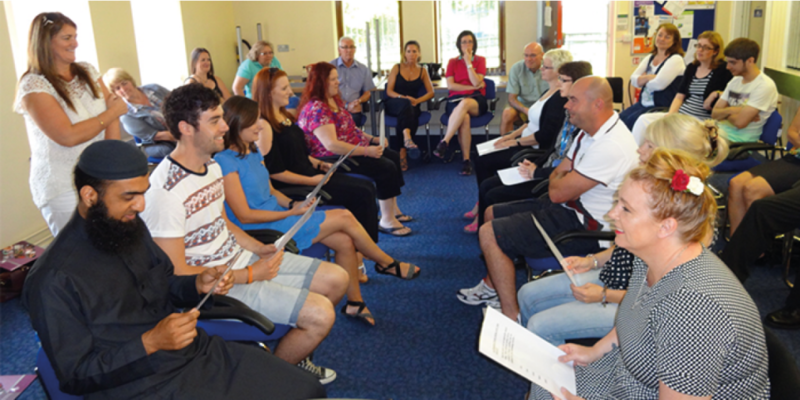 The course is delivered by a profoundly Deaf tutor supported by a BSL interpreter. This training provides an insight into to real life situations faced by deaf people and looks at solutions to improve access and communication. The day is fun, informative and interactive and provides an excellent opportunity for students to learn together, develop new life skills and gain an insight into the use of British Sign Language (BSL). People will be issued with a certificate of attendance.